Experienced and successful entrepreneur, Jackie Rainwater, discusses why it's important to designate a primary service area and how to do it the right way. Would you like to triple your customer referrals? Increase your sales closure rate 10%? Cut your installation warranty cost 75%? Add 1% to your installation profits? Reduce the turnover rate of your installation technicians to less than 5%? Boost the pride and morale of your co-workers and your company’s reputation? By properly managing the sales force, you can be certain that all sales leads are carefully tracked, and promptly pursued— thus bringing more money to the bottom line. Weather-driven sales certainly are a nice windfall when they happen. However, depending on temperature extremes to grow a viable hvac retail business simply doesn’t work for the long haul. In order to grow and prosper, the business must generate sufficient valid sales leads on a year-round basis. By educating customers about additional accessories, your company can increase sales and profit margins. A vitally important (although often underestimated) component of successful sales is the incentive and compensation plan. Jackie Rainwater discusses what an effective plan should include. I want to let you in on what seems to be somewhat of a secret in our industry . . . partnering works! In this instance, I mean partnerships between hvac contractors and their primary hvac equipment manufacturers and suppliers. Delivering hvac and IAQ products and services customers want and need in a way that makes their overall experiences with your company convenient and pleasant should be the primary objective for any hvac retailer. Building a successful retail sales and production department requires careful planning followed by the ongoing 100% commitment of everyone involved in the process to successfully execute the plan. 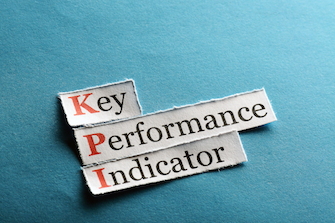 Using key performance indicators and financial information is vitally important in operating a successful hvac business. Never overlook the extreme importance of also maintaining the right company culture. Maximize productivity and profits by establishing an effective primary service area and making sure your organization clearly understands it. In order to grow, you must take the steps necessary to properly analyze your current business mix, establish realistic future business mix, growth, and profit goals, and then develop and implement a realistic business plan to help you achieve your goals. Failure to properly communicate with employees (co-workers) on a consistent and timely basis is one of the biggest causes of the inability to achieve growth, profitability, and stability. Train technicians in the conversion process and lead development. A well-structured tracking process insures that technicians are recognized and rewarded for their efforts. A culture that values and nurtures its customers and co-workers was the key to the tremendous growth and profitability of Peachtree Heating and Air Conditioning (Peachtree) from 1990 to 2002. Part 3 of a series: How Peachtree Heating and Air Conditioning put in place principles, practices, and processes to assure co-workers were “winners”. Referencing the culture he established at Peachtree Heating and Air Conditioning, Jackie Rainwater describes how to ensure the customer “wins” in every interaction with your company. What is culture and how do you develop the right kind of culture within your company?